If you’re looking at renewable heating opportunities for your home a wood fuelled biomass boiler could well tick all your boxes. Biomass is an affordable way to provide heating and hot water for your home by burning organic matter, most commonly wood pellets, chips or logs. Not only that, but as a low carbon heating option carbon dioxide emissions will be considerably lower compared to heating systems which utilise fossil fuels for power. Regarded as a key future source of renewable energy, if you’re keen to cut your carbon emissions and save money on your home heating bills, wood pellet biomass boilers are a great alternative to conventional oil and gas boilers to heat radiators and hot water. Why Install a Wood Pellet Biomass Boiler? With depleting fossil fuels and escalating fossil fuel prices more and more home owners are keen to source alternative heating methods, turning to renewable forms of heating instead of sticking with costly conventional sources. A biomass boiler which is connected to your central heating and hot water system, burns organic matter to provide heat. It is essential to make sure the boiler is sized appropriately for your property, so you will need to use the services of a qualified installer accredited to install the technology under the Microgeneration Certification Scheme (MCS), particularly if you wish to benefit from the Renewable Heat Incentive (RHI) scheme. By installing this renewable type of heating, aside from the obvious environmental benefits and lower heating bills, consumers can take apply for the domestic RHI scheme which goes live in April 2014. Introduced to encourage the uptake of renewable heating technologies, adopters who have a biomass boiler (or a biomass pellet stove with a back boiler) will be paid 12.2p for each kWh of renewable heat their system produces. The Government also introduced the Renewable Heat Premium Payment to provide a one-off payment of £2,000 towards the installation of a domestic biomass heating system. Wood pellets, chips and logs are the most common fuel sources used to power domestic wood fuelled heating systems. However biomass energy can also be generated from agricultural and industrial waste, amongst other sources. Looking at domestic fuel sources, wood chips aren’t suitable to heat a single property. They are, however, perfect for heating a block of flats. Far easier to utilise – most wood pellet and wood chip boilers use automatic fuel feeders – a wood fuelled pellet boiler operates in a very similar way to conventional gas or oil boilers. While logs can be cheaper to purchase compared to pellets, a large supply of logs will be needed to heat an entire house and, on top of that, boilers which use this type of fuel have to be filled by hand. 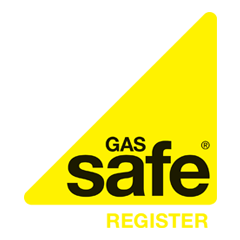 Switching from a gas central heating system will help you to lower your annual heating costs by up to £100. However it’s when you are replacing an electric heating system that the financial savings really come into their own. According to the Energy Saving Trust installing a wood pellet biomass boiler in a typical three bed semi-detached house can save as much as £580 a year. In terms of carbon dioxide emissions the most substantial reductions will be achieved if the biomass heating system replaces electric storage heaters or a coal-fired system, where savings can be up to as much as 7.5 tonnes annually. Biomass boilers are more expensive than traditional gas or oil boilers. The Energy Saving Trust estimates that an automatically fed wood pellet biomass boiler installed to provide heating and hot water for an average home will cost in the region of £11,500. Don’t forget though, compared to a conventional gas or oil boiler, a wood pellet boiler will take up a lot more space and require an easily accessible area for fuel storage and delivery too. For example, you would require around 3 x 4 meters if you were to install a large log burning boiler, so in this instance an outside shed would be ideal. And a flue which meets the regulations for wood-burning appliances is another requirement.